Homegrown cab-hailing firm Ola, run by ANI Technologies Pvt. Ltd, is in advanced talks with Chinese Internet giant Tencent to raise $400 million (Rs 2,564 crore), a media report said on Thursday. The Economic Times reported, citing four people aware of the development, that Tencent executives met with Ola's management team to discuss the transaction. The investment, if it materialises, will not only give Ola more ammunition to take on rival Uber but also propel its valuation to over $4 billion, the report added. That will bring good tidings for the cab-hailing company, which has been subject to two valuation markdowns by investors SoftBank and Vanguard in the recent past. In the latest markdown, a mutual fund managed by investment firm Vanguard Group had slashed Ola’s valuation to an estimated $3 billion, compared with its peak valuation of $5 billion between April and November 2015. 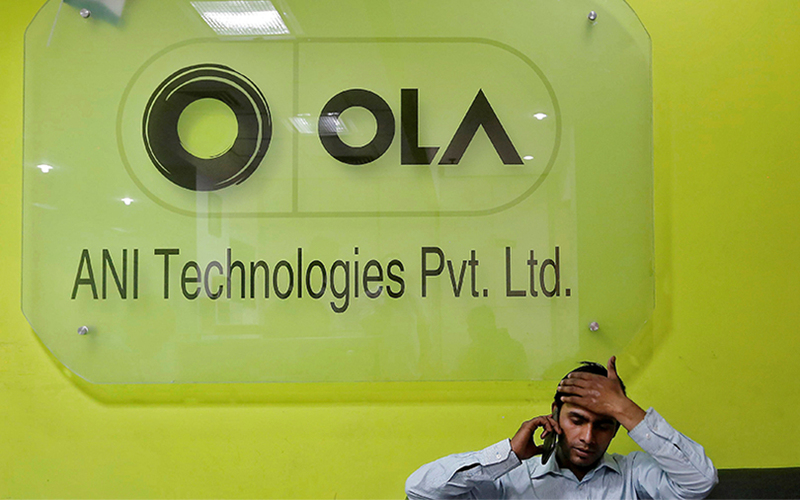 E-mail queries sent to Ola seeking confirmation and comments did not elicit an immediate response. The development comes at a time when rival Uber is reportedly mulling a stake sale to SoftBank, Ola's biggest investor, to strengthen its footing in India and Southeast Asia. Just a fortnight ago, the US-based cab-hailing giant agreed to merge its operations in Russia and five neighbouring countries with local market leader Yandex. The deal came less than a year after Uber sold its China business to local rival Didi Chuxing, and marked its second exit from a large market as it seeks to cut losses after breakneck expansion. Meanwhile, Southeast Asia's top ride-hailing service Grab is raising $2.5 billion in a record round of fundraising to cement its lead over Uber in the region and grow its payments platform. Tencent, which has a strong India presence, has backed several competitors of Uber globally, including China’s Didi, US' second-largest ride-hailing service Lyft, and Indonesian ride-sharing firm Go-Jek. However, its most recent investment in India was in the education technology space. It invested around $35 million in Bangalore-based Think and Learn Pvt. Ltd, which runs ed-tech startup Byju’s. Tencent had also participated in the $1.4-billion (Rs 9,000 crore) fundraising round at Flipkart in April. Its India presence is also marked by Naspers-controlled MIH Group, where it holds stakes in ibibo (now merged with MakeMyTrip) and other arms of the combined business entity. In April, VCCircle first reported that Ola had secured Rs 1,675 crore ($250-260 million) in fresh funding from SIMI Pacific Pte, a SoftBank subsidiary. Earlier this week, it was reported that tech giant Microsoft Corp. was likely to invest $50-100 million (Rs 320-640 crore) for a minority stake in Ola. Founded by Bhavish Aggarwal and Ankit Bhati in 2010, Ola has so far raised a little over $1.4 billion from marquee investors such as Tiger Global and Matrix Partners. But it has been making huge losses in its bid to outpace arch-rival Uber in India. Ola posted a consolidated net loss of Rs 2,311.7 crore for 2015-16 compared with Rs 796 crore in 2014-15, according to its filings with the Registrar of Companies. The company is yet to file its financials for 2016-17. In 2015-16, operating revenue jumped over seven times to Rs 438.6 crore from Rs 57.5 crore. Other income surged to Rs 256.4 crore from Rs 38.6 crore, owing to significant fund infusion during the year. Revenue from commissions increased to Rs 357.5 crore from Rs 57 crore, and that from lease rentals rose to Rs 51.2 crore from Rs 2 lakh. Ola made Rs 70.2 crore from trip time fares. However, total expenditure surged more than three-fold to Rs 3,078.19 crore from Rs 899.7 crore the year before, indicating higher cash burn.